Panera Bread Fundraiser: Home & School is sponsoring a restaurant fundraiser on Wednesday, May 15th at Panera Bread from 4-8 p.m. Please present a copy of the attached flyer when ordering. Proceeds from this event will go towards fun events like the Easter Egg Hunt, Father/Daughter Dance, buses for all campus activities, classroom needs and more. Thank you for your support! 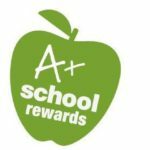 Giant A+ Rewards: Beginning in October, our school has the opportunity to participate in and earn cash from A+ School Rewards, a great fundraising program run through your local Giant! Our school ID is 20532. Please click here for instructions on how to register your Giant Bonus Card. Box Tops 4 Education: Please keep collecting and sending in those Box Tops! Ask friends and family to save them too. If you’d like to help out trimming those Box Tops, please contact Mrs. Wenger. All help is appreciated! Box Tops can be submitted via the collection sheet, or a plastic sandwich bag or envelope. If submitting in a plastic sandwich bag or envelope, please submit in groups of 50 Box Tops per bag or envelope. For a printable collection sheet, please click here. Our first submission for the year has been sent. We earned $549. Kennie’s Marketplace Community Rewards: Attention Kennie’s Marketplace shoppers! Sign up now – May 1, 2019 for the new Kennie’s Community Rewards Program. 1% of your total purchase will be given back to St. Teresa of Calcutta. If we are one of the top 10 non-profits in accumulated purchases, Kennie’s Marketplace will give out school an additional $500. Please use the attached form to sign up. Forms can be dropped off at any Kennie’s Customer Service desk.